Opening Day is April 6! The Washington Farmers’ Market will officially open its 2019 season on Saturday, April 6. 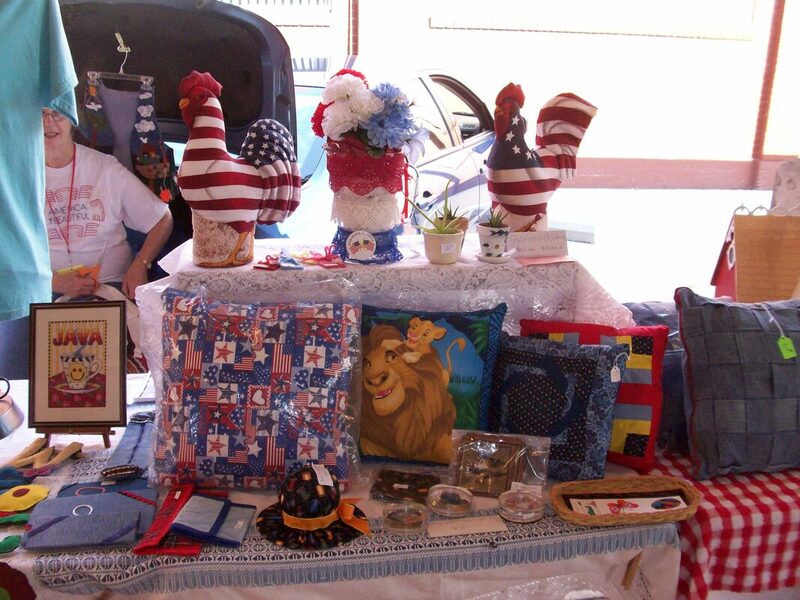 A wide variety of home baked goods, meats, crafts, and bedding plants will be available for sale. The market will be open every Saturday through October 26. Hours are 8 a.m. – 1 p.m. Market customers are encouraged to stay up-to-date with Farmers’ Market news by following the market Facebook page at www.facebook.com/washmomarket. The market offers something for everyone, with more than 40 vendors selling local plants and produce, meat, eggs, jams & jellies, and baked goods. Crafters selling their handmade items have also found a home at the market, offering charming and unique items. The beautifully renovated historic building with pavilion guarantees customers will be covered, rain or shine at 317 West Main Street in Downtown Washington, Missouri. Applications for new vendors are available at HERE or can be requested from info@washmomarket.com or from the Chamber of Commerce Office (636-239-2715). Stay up-to-date with Market news by following us on Social Media! ​And don't forget to join our Opening Day Facebook event! 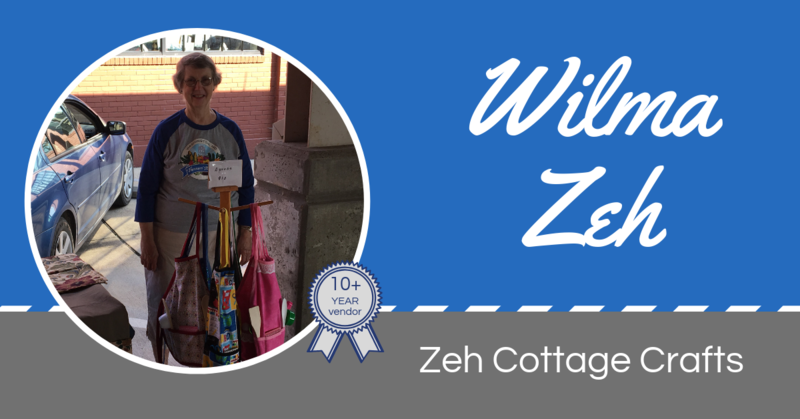 Wilma has been a vendor at the Washington Farmers' Market since 2005! 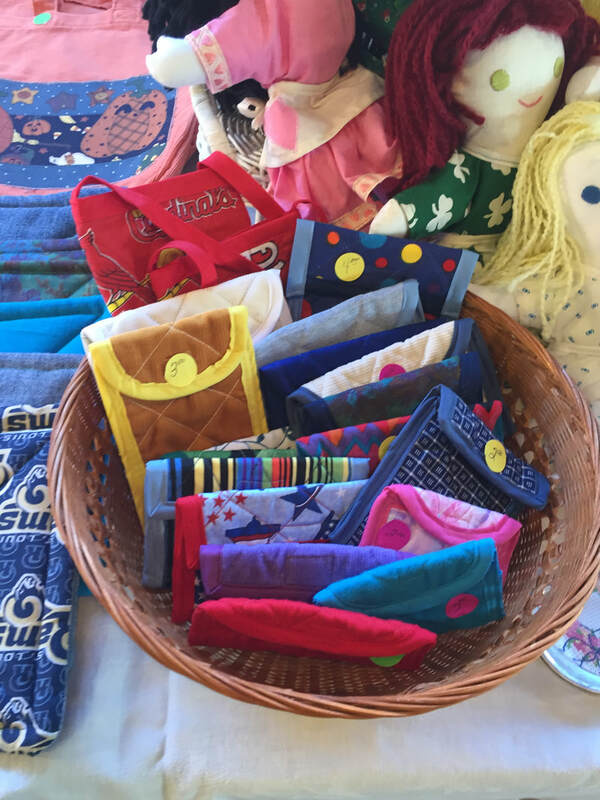 ​She sells handcrafted items. 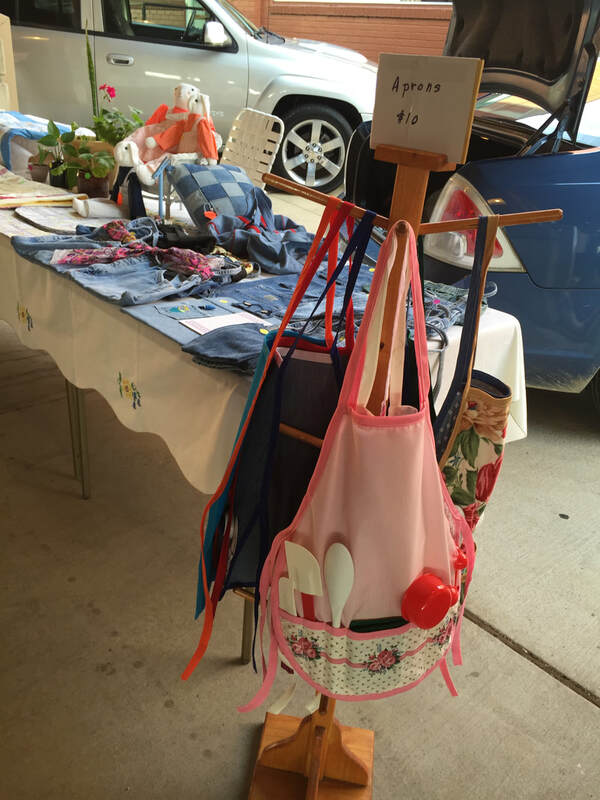 Her children's aprons are a big hit, stuffed with kitchen utensils or craft supplies! Why do you like to sell at the Farmers' Market? Contact with people, and an outlet for crafting hobbies. What is your favorite Farmers' Market memory? Swapping stories with co-vendors and customers! Why did you start crafting? I started as a child, so it's too long ago to remember why! I continue now because I have time, enjoy making things, and I like to keep busy.